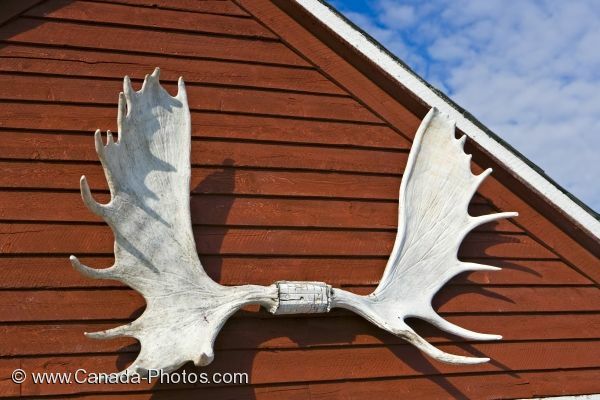 A rack of antlers from a Moose is on exhibit on a fishing stage in the small town of L'Anse aux Meadows in Newfoundland Labrador in Canada. Picture yourself coming head to head with a set of antlers such as these in the wilderness of Newfoundland. Picture of moose antlers attached to a fishing stage in L'Anse aux Meadows in Newfoundland Labrador, Canada.